STUNNING TOWNHOME IN THE HIGHLY SOUGHT AFTER NEIGHBORHOOD OF EAST BEACH. EASY LIVING IN THIS UPGRADED HOME THROUGHOUT. HARDWOOD FLOORS ON EVERY LEVEL AND SURROUND SOUND SPEAKERS INSTALLED ON THE ENTIRE 2ND LEVEL! THE HOME IS ALSO EQUIPPED WITH A GAS FIRE PLACE AND HAS EXTRA RECESSED LIGHTING THROUGHOUT THE 2ND FLOOR. GOURMET KITCHEN WITH GAS RANGE, QUARTZ, STAINLESS STEEL APPLIANCES, GLASS FRONT AND TWO-TONE CABINETRY FOR THAT HIGH-END DESIGNER LOOK. CUSTOM BUILT IN PANTRY. MASTER BEDROOM WITH LARGE WALK-IN CLOSET. MASTER BATH HAS A LUXURIOUS WALK-IN STEAM SHOWER. THIRD FLOOR BATHROOM ALSO HAS A WALK-IN STEAM SHOWER. GARAGE HAS EXTRA CONDITIONED STORAGE SPACE. THIS HOME IS ALSO CONVENIENTLY LOCATED 5 MINUTES AWAY FROM LITTLE CREEK BASE AND 15 MIN FROM NORFOLK NAVAL BASE. STEPS FROM THE BAY MAKE THIS A GREAT HOME THAT YOU WOULD FEEL LIKE YOU ARE ON VACATION EVERY DAY! Ready to visit 9428 26th Bay? Request a free property tour! 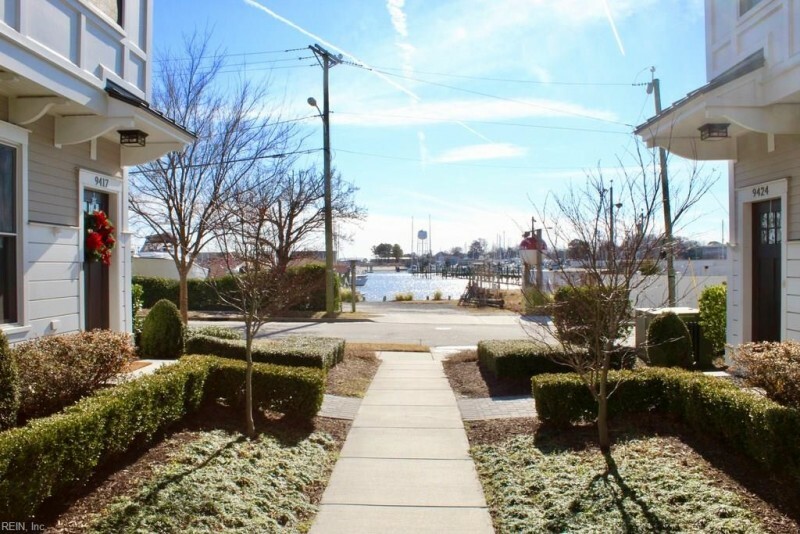 Send me more information about the listing at 9428 26th Bay Unit 9, Norfolk, VA 23518, MLS# 10240151. This 3 bedroom, 3 bathroom home located at 9428 26th Bay Unit 9, Norfolk, VA 23518 has approximately 1,621 square feet. It is currently listed for $405,000 and has a price per sqft of $24,985. This home is currently Under Contract under the MLS#: 10240151. This listing is provided by Bold Realty. 9428 26th Bay Street, Norfolk was built in 2015. It has Garage Att 1 Car, 1 Space, Street parking.The kitchen includes Dishwasher, Microwave, Elec Range, Refrigerator. 9428 26th Bay is part of the East Beach neighborhood located in 23518.